Zarafa has unveiled a new client strategy that will see Outlook support winding down over time. So let's look at what that means. The world is changing rapidly and the IT world is an integral part of that change. The business IT world of some years ago that was focused largely on Windows workstations with Outlook as the collaboration client is fading. Although many predicted that the single platform approach would become more dominant with time, this has not come to pass. Instead we now see a plethora of client platforms both fixed and mobile being used in business settings; Windows, Mac OS X, iOS, Android and other Linux based systems like Chromebook and in some cases a BYOD approach. As they are inherently cross platform, browser based applications, be they deployed from public or private clouds, have become the norm to support a mix of platforms. You will receive support for the Outlook client until 1 May 2017. No enhancements or updates are to be expected after this date. You will receive support for the Outlook client until 1 May 2016. A new customer is anyone who did not own a subscription before 1 May 2015. 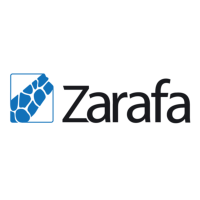 The above policy recognises the investment of existing customers and gives them extra time to evaluate the new options being delivered by Zarafa. There is also an opportunity for new customers to sign up before the 1 May 2015 deadline to get an extra year of Outlook support! We are also doing special pricing for new customers before COB 30 April 2015. As always please don't hesitate to get in touch with sales if you wish to discuss any aspect of these changes and ASAP to get special pricing!